The Clip Grip Power from Nyko is designed for Nintendo Switch Joy-Con controllers and provides you with a variety of features. 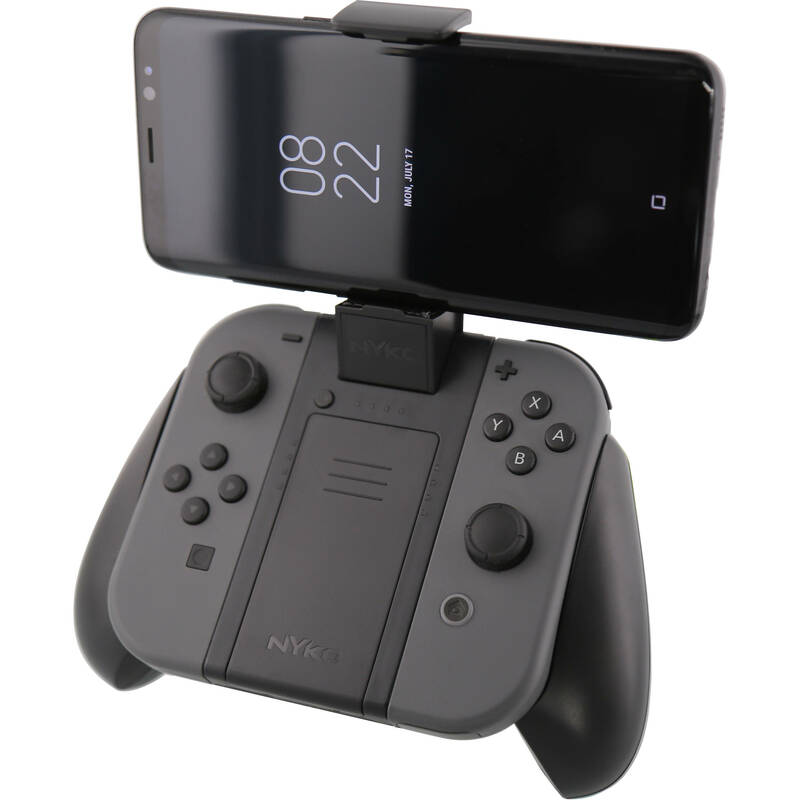 It has an ergonomic design for added comfort, a smartphone mount so you can multitask, a 3000 mAh built-in battery for extra playtime, and a storage compartment that fits up to seven games and two microSD cards. Box Dimensions (LxWxH) 7.5 x 4.8 x 2.3"